Embrace slow, organic growth, as it’s much more stable and profitable in the long term. Fall in love with sales and make sure your product has a simple & effortless user experience (the path of least resistance). Be content with slow organic growth. Don’t settle for ordinary employees. Hire people who are passionate and inspired to move the company forward, not just get paid, do average work, and go home. If your team doesn’t love what your company does, they will struggle to do all the hard work that is upon them. Don’t concern yourself about cashing out on your passion too early. Solve problems first, you can revisit your passions later. Don’t take on new battles until you win the battles you are in right now. Focus on ONE thing only. Don’t drown in opportunity. The worst day of your life is the day you decide to borrow money. Great companies such as Apple, Microsoft, and dell started without investors. Venture investors aka vulture investors – when you sell a portion of your business to them, they gain control of it, thus taking control of you. Investors could care less about your goals. They love that you have ambitions and are motivated by them. But the reality is, Investors only care about how they are going to get a return on their investment. Investors care about making money but your family cares about your dreams. Your customers own your business – without them, your business wouldn’t exist. You foresee your future by inventing it. Your customers are a great resource for feedback. Listen to them, they have the answers. Convenience is what pays the bills. Create a product or service is simple and easily accessible. Customers want the path of least resistance. Don’t sell your service or product. Educate instead and solve their problems. Majority of people won’t put in the effort or time to acquire a knowledge advantage. If you want to get your first customer, deliver your product or service for free at first – mark calls this the “no money down approach” to starting a business. Master the art of selling. In business and life, you’re always selling – to your prospects, employees, investors, friends, & associates. Customers want to see that you have other customers. Invest in yourself. Become an expert in whatever you’re doing. It will give you a major advantage because most people neglect this. Don’t get caught up in how many hours you work. The only thing that matters is your results. You could “work” but not have anything to show for it. 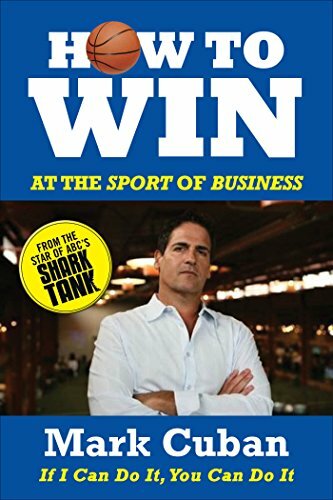 Like this book — How to Win at the Sport of Business? My notes are informal and often contain quotes, key nuggets, and personalized thoughts from the book. When I come across an interesting idea or concept while reading, I save it in my notes for future reference and reflection. If you find a book’s notes appealing, I highly recommend reading the whole book to get much more context and insight. My notes are not meant to substitute the book. Fixed mindset: I can’t do it. Growth mindset: I can’t do it… yet. Parents should teach their children to embrace challenges, make mistakes, and enjoy learning. More and more research is showing that much of personality is bendable, dynamic, and evolves over the lifespan and is molded by the experience. Teaching is an incredible way to learn. Seeking challenges & trials is a part of the growth mindset. When you have a fixed mindset, you’re concerned about how you’ll be judged. An individual with a fixed mindset believes common characteristics such as personality, talent, creativity, and intellect, are qualities that are carved in stone, they can’t be developed. Fixed mindset: Who you are is who you are. Fixed mindset: Only smart or talented people prosper. Growth mindset: I can become smarter. I can stretch myself to learn something new. When you have a growth mindset, the only thing you’re worried about is improving. With the fixed mindset, everything is about the outcome; If you fail, it’s means you wasted your time. At the University of Hong Kong, where courses are taught in English, some students were asked if they would be interested in taking a free course to improve their English skills if the school provided one. Those with a fixed mindset weren’t interested, but those with a growth mindset were totally interested. If you or your company cannot self-correct, you cannot succeed. People with the growth mindset know that they need to play the long game; it takes time for potential to blossom. In one of Carol’s studies, they offered four-year-old kids a choice: They could reassemble an easy jigsaw puzzle they’ve already assembled once or they could try a harder one. Kids with the fixed mindset chose the safe route and wanted to redo the puzzle. How you view yourself is how you lead your life. The growth mindset allows people to relish what they’re doing —regardless of difficulties and setbacks. Praise kids for their effort. Don’t praise them for their intelligence. It damages their motivation and makes them question themselves. They begin to fear difficulty because they begin associating failure with stupidity. Don’t seek out the tried and true, instead seek out the uncomfortable and the unfamiliar. Putting in the effort at the end of the day is what matters. It means you care about improving. As long as you’re willing to work for it, you have a growth mindset. Everyone can mature and develop their talents, interests, & aptitudes by learning and applying that knowledge. You control your mind. You can manifest your destiny by using your brain in the right way. With the growth mindset, you value process and effort, regardless of the outcome. Tim Grover, the author of Relentless, trained Michael Jordan, Kobe Bryant, Dwyane Wade to get to the top of their game – and most importantly, stay at the top. Coolers let others dictate whether they’ve done well; they do the job and await your approval. Closers feel successful and celebrate when they get the job done. Cleaners don’t celebrate their achievements and never feel as if they’ve attained success because they know there’s always more to learn and do. When a Cooler makes a mistake, he’ll make a list of excuses. When a Closer makes a mistake, he finds ways to blame other people. While the other guy is sleeping, the cleaner is working. While the other guy is eating, the cleaner is working. While the other guy is taking a break, the cleaner is working. While the other guy is working, the cleaner is working. There’s no such thing as competition. You only compete with yourself. Find your opponent’s weaknesses and attack. There’s no such thing as failure; you learned what not to do because you know there’s more than one way to get what you want. The relentless feel no pressure when they screw up and have no problem admitting when they’re wrong. Society has molded us and trained us to act like a bunch of 5-year-olds. The relentless make decisions, not suggestions; while everyone is still asking questions, you already know the answer. Know exactly who you are. The relentless are not intimidated by pressure, they thrive on it. Know that every time you stop, you can still do more. We’ve become soft as a society. Anything that demands a bit of work and discipline is too hard for most these days. Self-awareness is the single most important skill to possess. You don’t have to love you do. You just need to have faith that everything will pan out in the end. Push yourself harder when everyone else has had enough. Most of the people who ask for advice are not really looking for the truth. They’re looking for the easy answer – not the blunt advice that goes against what they want. Everyone has the ability to be unstoppable. You can’t be concerned about what others think of you if you want to be the best. Failure is never an option even if it takes forever to reach your ultimate goal. Clutch (Closer) is about the last minute. Relentless (Cleaner) is about every minute. There are no shortcuts. No tricks. No hacks. No secrets. Every time you believe you can’t, you now must. Without intense laser-like focus, you’ll fail every time. You don’t have to love the work, but you do it anyway because you’re addicted to the results. Wanting it is not enough. Tell me your limit and I will show you how much more you can do!! No test too great, too nerve-wracking, too risky, because you don’t fear failure. Filling the gap between near-perfect and perfect is the difference between great and unstoppable. Unsuccessful people always blame others, make excuses, and never get past limitations. When you’re relentless you’re never on the defensive, you’re always looking to thrive, attack, and conquer. Every minute is a high-pressure situation so always be alert and on your toes, as everything is always on the line. Anyone can start something. Only a few can finish. Don’t just “wing it” through life. It’s better to be feared than liked. Being buried under great pressure and stress is a good thing. Not everyone gets the opportunity to achieve extraordinary things. Seek ways to compensate for your weaknesses. From a coaching perspective – If I allow you to go at your own pace, you are never to going to get there. What would you do if there was no way you could fail? 99% of people in this the world are convinced they are incapable of achieving the impossible, so they aim for mediocre. So, competition is fiercest for “realistic” goals. Easier to raise $10M than $1M and easier to pick up the one “perfect 10” at the bar, than the 5 “8”s. Don’t lose sight of your goals and fall into work for work’s sake. Never check email first thing in the morning. There are tons of things of which a man might wish to be ignorant. Define a to-do list and a not-to-do list. Ask two major questions related to the 80/20 rule: What 20% of sources are triggering 80% of my problems? What 20% of sources are eliciting 80% of my happiness? Compose your to-do list for the day the night before. Learning to ignore things is the key to inner harmony. Focus on results, not dedication. What 3 activities do you use to occupy time and create the feeling as though you have been productive? Efficient – performing task, whether important or unimportant in the most thrifty way possible. Never automate something that can be eliminated and never delegate something that can be automated. The 4-Hour Workweek — elimination first, automation second, delegation third. Remote management and communication are the most critical skills. If someone else can do it 80% as well as you, outsource it. You can always do something cheaper yourself – that doesn’t mean you want to spend your time doing it. Break the rules but don’t break the law. When you completely define your fears, you’ll frequently find that they’re not nearly as bad as you thought. Rather, the likely “bad” outcomes would have a small effect on your life, but the “good” outcomes could massively benefit you (see Antifragile). Being busy is a form of laziness. Busyness does not equal Business. Don’t work where you live, relax, or sleep. Separate your environments. If you can’t govern, then confuse. Create your ventures alone if you must, but don’t live your life alone. We are social creatures. Surround yourself with positive people who have nothing to do with your work. Many problems eventually disappear when ignored. To make your life easier, charge a premium. You’ll end up attracting hassle-free clients. Always validate your business ideas. Presell using A/B testing.